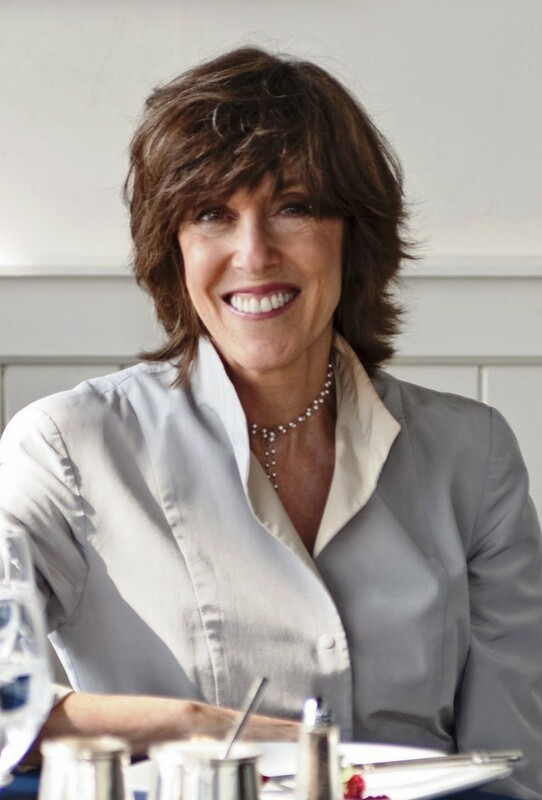 It's still hard to believe that in June we lost favorite writer and filmmaker—Nora Ephron. Word has it that she was an excellent cook who loved to entertain. Although she never wanted to publish a cookbook, she did compile a collection of her own recipes as a gift to her crew after completing the filming of Julie & Julia. Pages from copies of that 174-page book were removed from their white spiral bindings and passed out recipe by recipe to the approximately 800 people who attended her memorial service. You can read about it in a New York Times piece by Jeff Gordinier. 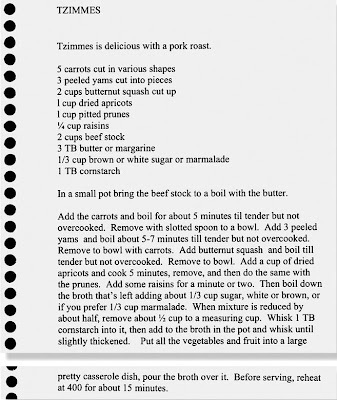 He points out Nora's omnipresent humor when she suggested that her recipe for the sweet Jewish side dish, Tzimmes, "is delicious with a pork roast." Rosh Hashanah begins at sunset on Sunday evening. 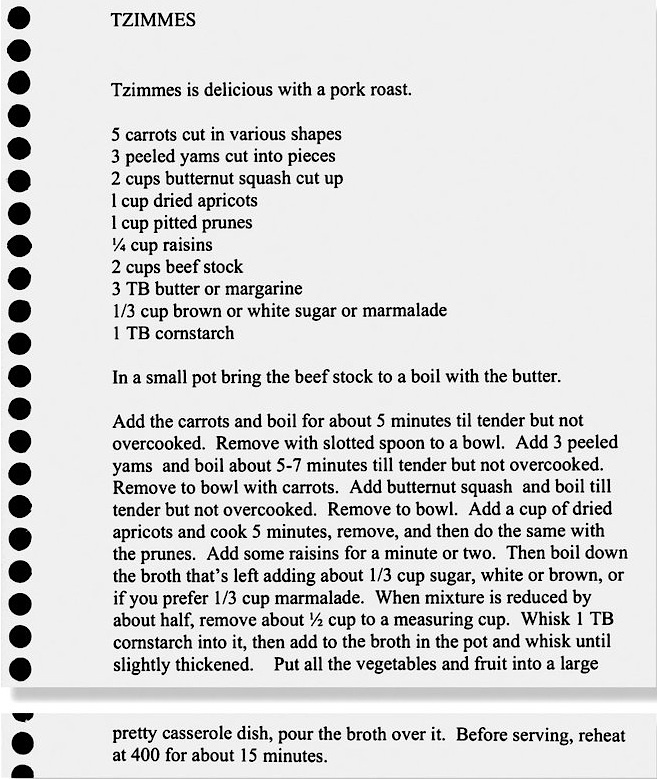 In honor of the holiday—and Nora—maybe you'd like to try her recipe for Tzimmes.